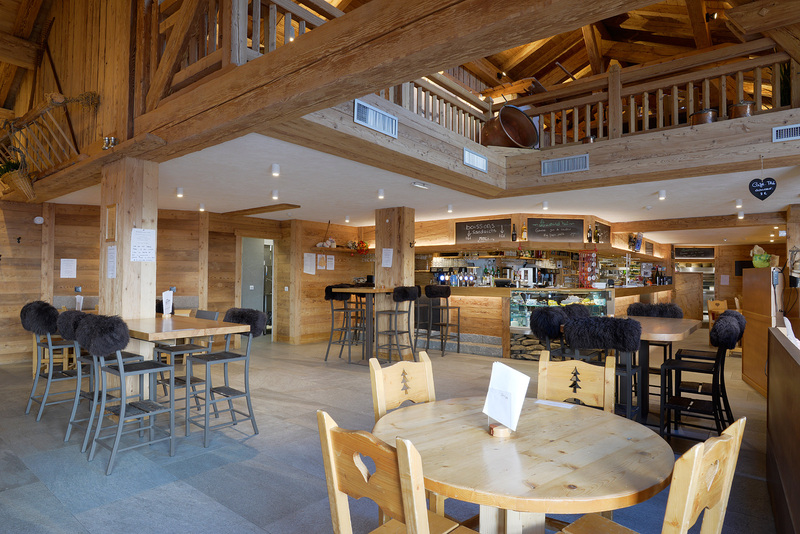 Our indoor bar with its mountain chalet feel. 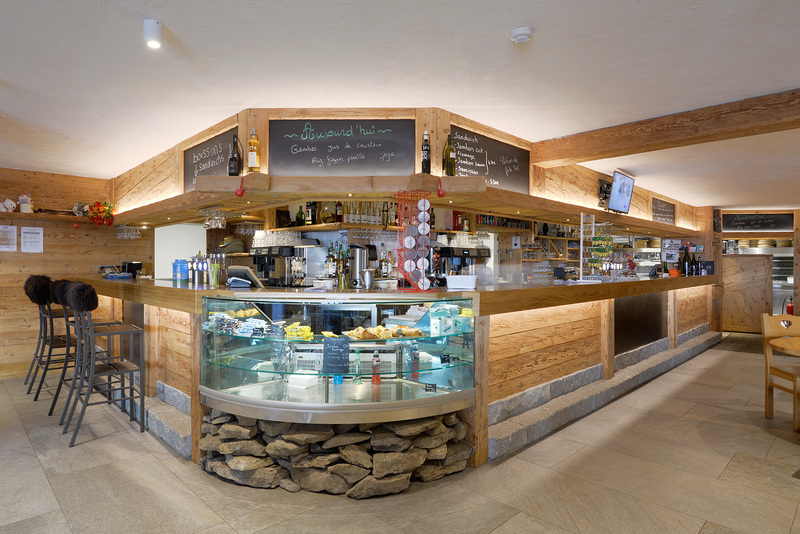 Truly unwind and enjoy the friendly atmosphere. 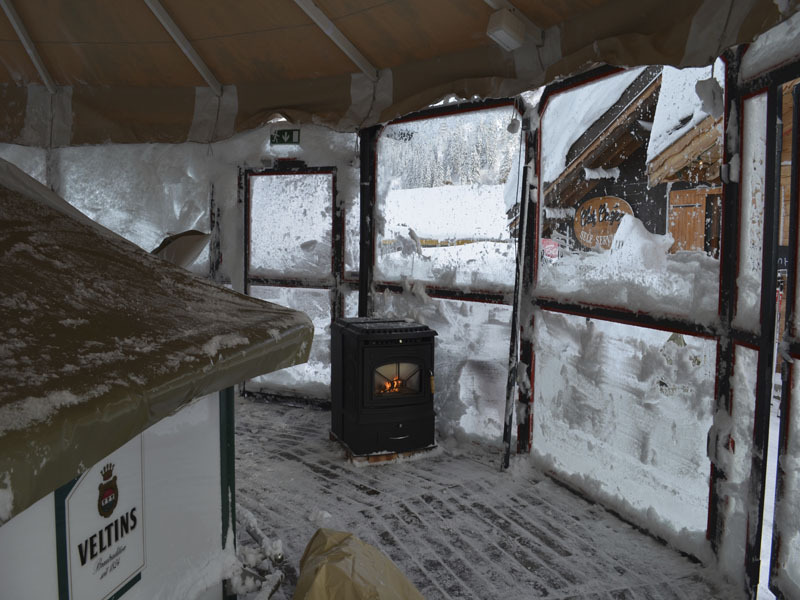 Take a break inside the heated umbrella bar. 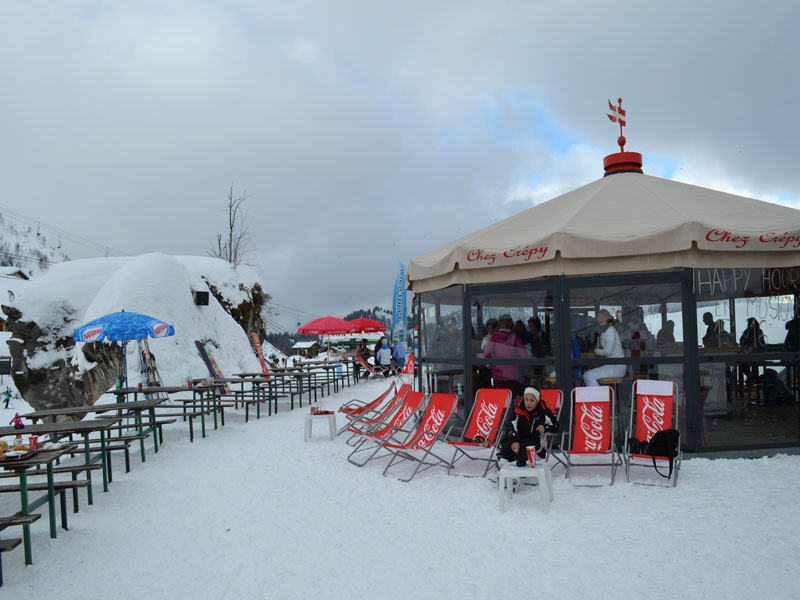 The giant umbrella opens and closes depending on the weather to make the atmosphere as cosy as possible. 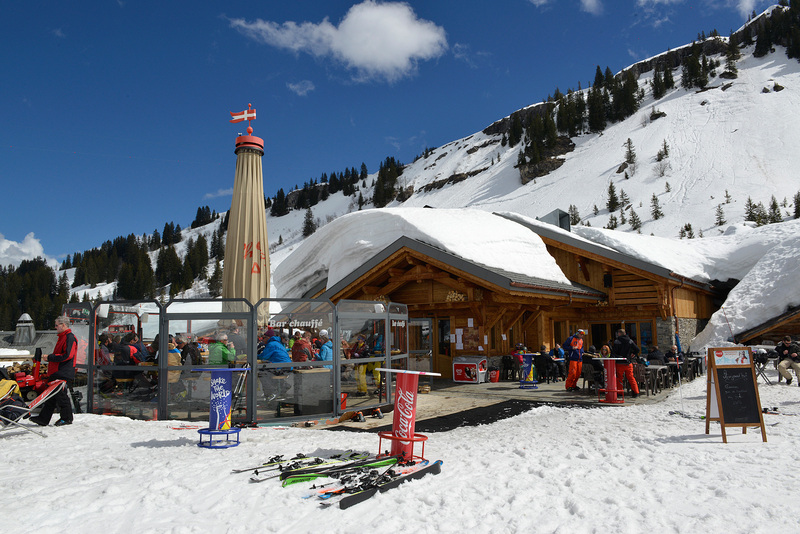 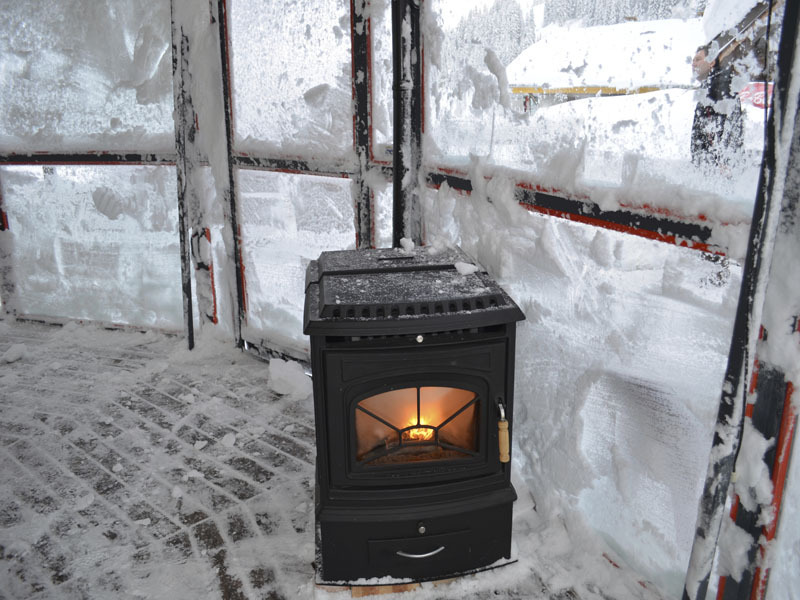 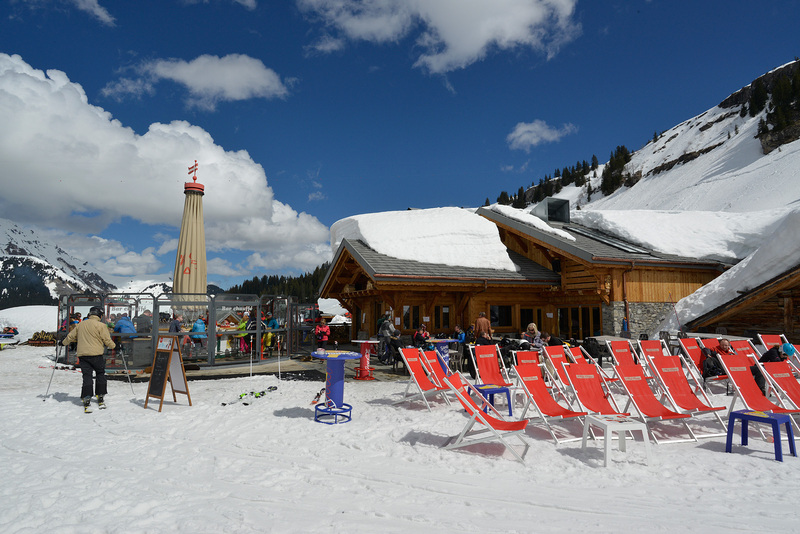 Take in the panoramic views of the slopes and enjoy a hot or cold drink by the wood-burning stove, at the bar or out on the sunny terrace. 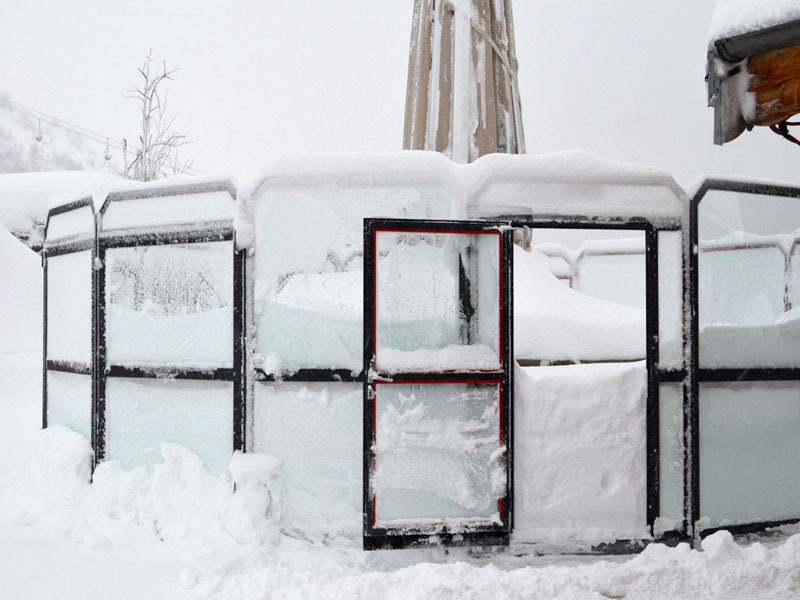 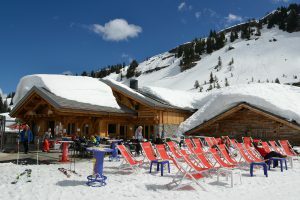 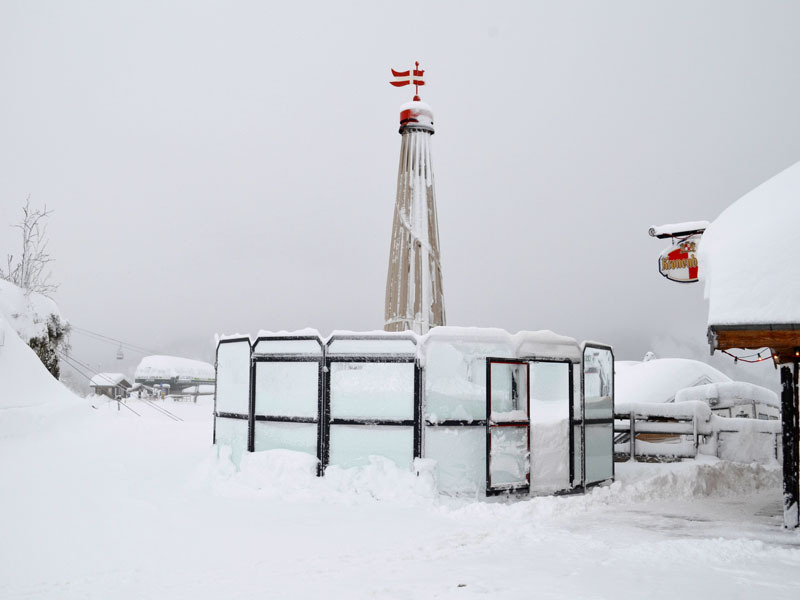 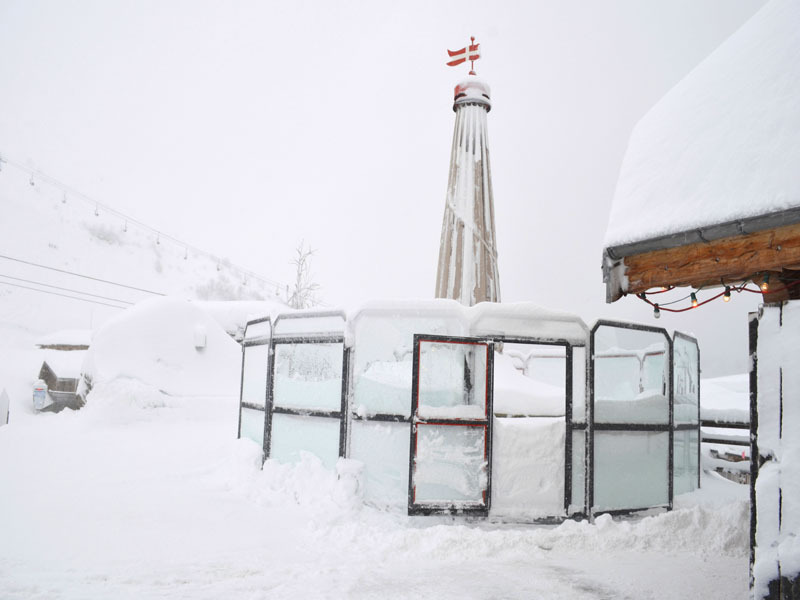 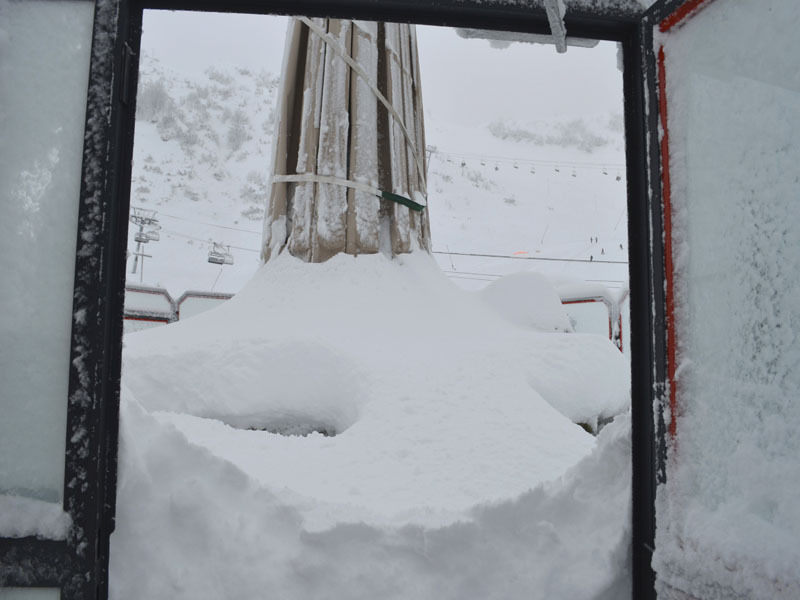 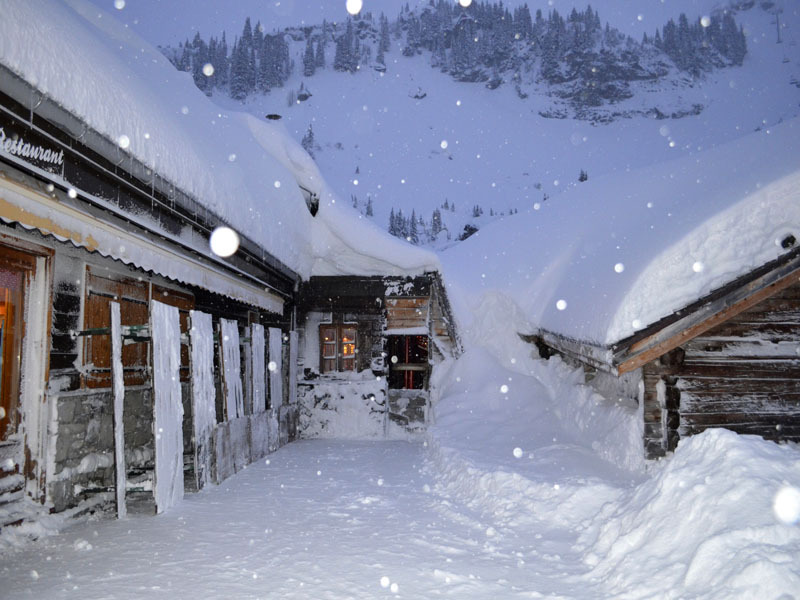 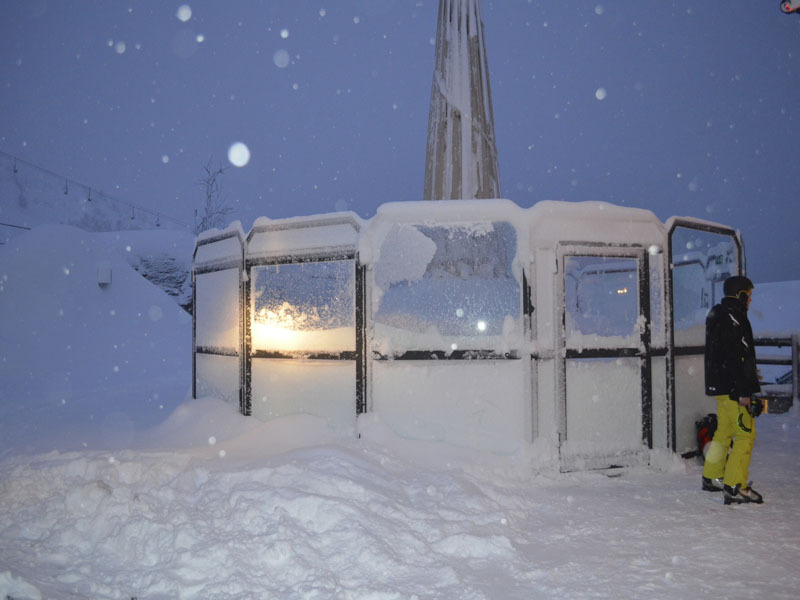 There can be an impressive amount of snowfall overnight and in the morning we sometimes have to clear several inches of snow that has built up inside the umbrella bar.